It’s hard to believe, but September is already on its way out (even harder to believe: the madness of New York Comic-Con is just around the corner). 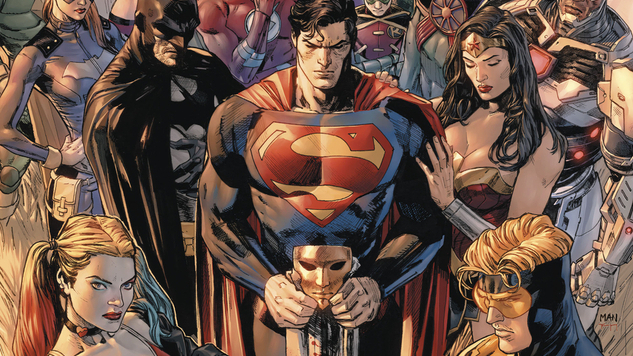 This Wednesday sees the long-anticipated—and perhaps even dreaded, depending on your outlook—release of DC Comics’ Heroes in Crisis #1, the publisher’s new event series that straddles the line between bombastic murder mystery and somber exploration of trauma. Don’t let that series steal all the headlines, though: we’ve also got Chip Zdarsky’s final Spidey outing, a new Faith adventure, two thrilling launches from the Vault Comics/White Noise partnership, the first Stranger Things comic, Chelsea Cain’s return to comics and more in what is sure to be a packed autumn New Comic Book Day.